Milano gazebo by Greenwood: elegance and functionality for any outdoors! The Milano gazebo is a functional and aesthetically appealing structure, a model that slightly and yet significantly revisits the structure of the more traditional gazebo, proposing an original cover that is reminiscent of the buildings with 2-gabled roof, such as the classic detatched houses with tiled roof. In its simplicity, therefore, this gazebo knows how to prove harmonious and very decorative, and its dimensions allow you to shade a fairly wide area. In the area embraced by the gazebo, then, you can re-create a real outdoor living room, and the brand that produced it, that is Greenwood, proposes many interesting ideas regarding this type of furniture. 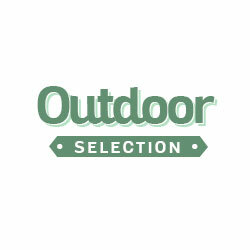 Greenwood is a very popular Italian brand, also well-known abroad and considered a point of reference with regard to the outdoor furnishing: this brand really manages to stand out not only for the high quality of its proposals, but also for the quite original and strong personality of their beauty. Although it is a light and discreet gazebo, Milano is able to guarantee maximum solidity and robustness: its structure is made of a reliable material, that is iron, and the poles that sustain it have a diameter of 5.7 cm. For the making of the roof, instead, it was chosen polyester (250 g), a very suitable material for such a use, and the light colours of this gazebo are very pleasant and can be combined with maximum versatility with many different contexts. Where's the best place to put the Milano gazebo by Greenwood? The opportunities are varied: this gazebo is perfect for a garden and can be placed successfully on a lawn, on bricks or other grounds, but you could also place it on a large terrace or in a backyard, or in the garden of a hotel or a restaurant. 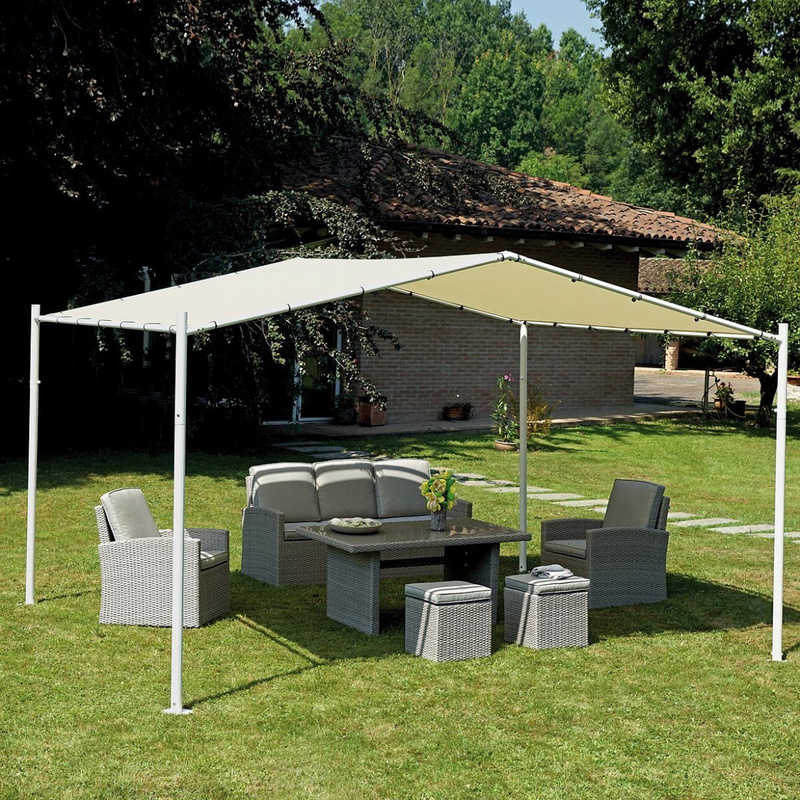 Even from this point of view, therefore, Milano is a very versatile gazebo.